Dream of Better Weather at The RV Show! This article is 2967 days old. With a record amount of rain fall expected Saturday, it’s the perfect kind of day to spend indoors. Indoors at the Windsor RV show that is! Held at the Windsor Expo Center on Walker Road (the old GM building) the show is the ideal way to spend a few hours dreaming of the better weather that is ahead! 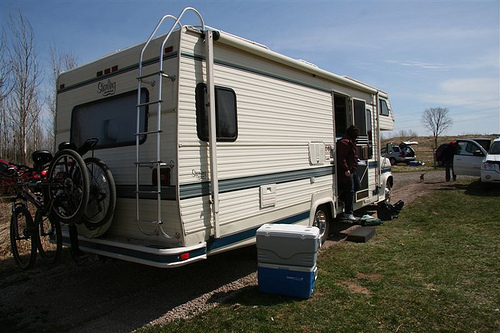 The show features the area’s RV dealers, suppliers and a variety of local campgrounds. There is entertainment and a draw to win $5000, as well. Cost is $10.00 per person or couples get in for $18.00. A family is just $23.00 and children 12 & under can get in free when accompanied by an adult. Cash only is accepted. The show runs Saturday from 10:00 am to 7:00 pm and Sunday from 10:00 am to 5:00 pm.